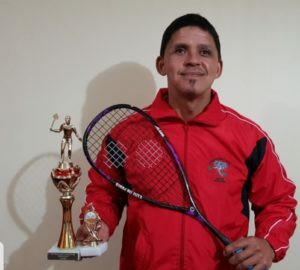 Elsworth Burger, who first picked up a squash racket 10 years ago, only regained his interest in the sport in 2015, after an injury forced him to stop playing. The 41-year-old has since developed a love for the game of squash once more, through social games. 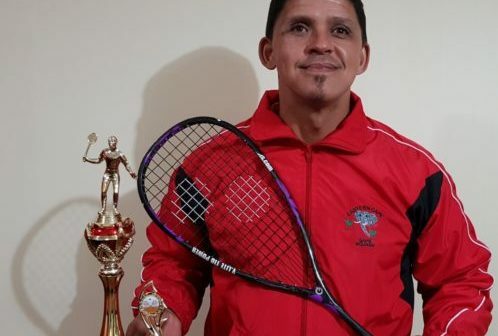 After being spotted for his talented, the SAPS Sergeant in Crime Intelligence was invited to join Willows Squash Club, which he is currently playing for. In 2016, he joined SAPS squash.  Since then, Burger has made the Eastern Province Squash Team in 2016, 2017 and 2018. This year, the tournament was held in Johannesburg from the 5-10 August, where Burger represented EP along with other members from SAPS. He did exceptionally well during this tournament, only losing one of his six matches, which happened to be the final and and picked up the “Most Promising Player of the Tournament” award. Burger has risen from 24 to 14 in the national squash rankings, and is a non-travelling reserve for the national team. He hopes to break into the travelling team in the near future by cracking the top 10. Burger’s family, wife Caville and sons Ashton and Daniel, have supported him throughout his journey. In his free time, he enjoys fishing and spending time with family and friends. He is man with many talents and has a passion for all sports. A family man and dedicated police officer, Elsworth Burger is a talented squash player and enjoys leaving everything on the squash court.